Go Horse! Invite the friends over on football Sundays and enjoy a fun game of pool on your Indianapolis Colts Pool Table from Imperial Billiards. Can you imagine watching your favorite quarterback shred defenses in the Luke while enjoying a few rounds of billiards with your buddies? 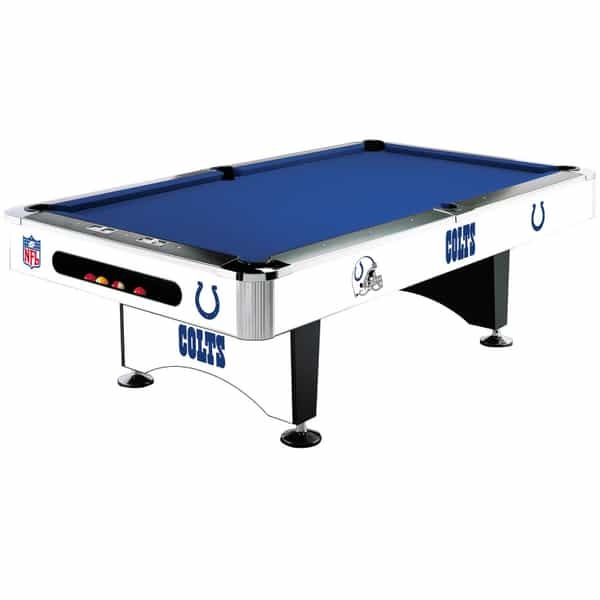 Transform your man cave into the stable all Colts fans will envy and love to visit with this cool NFL Pool Table! Each officially licensed pool table offers pro-quality materials and playing surfaces, so even Jim Irsay would love to place this pool table in his game room.